After Labor Day, the tourists have headed home, the weather is ideal, and there’s plenty of parking. 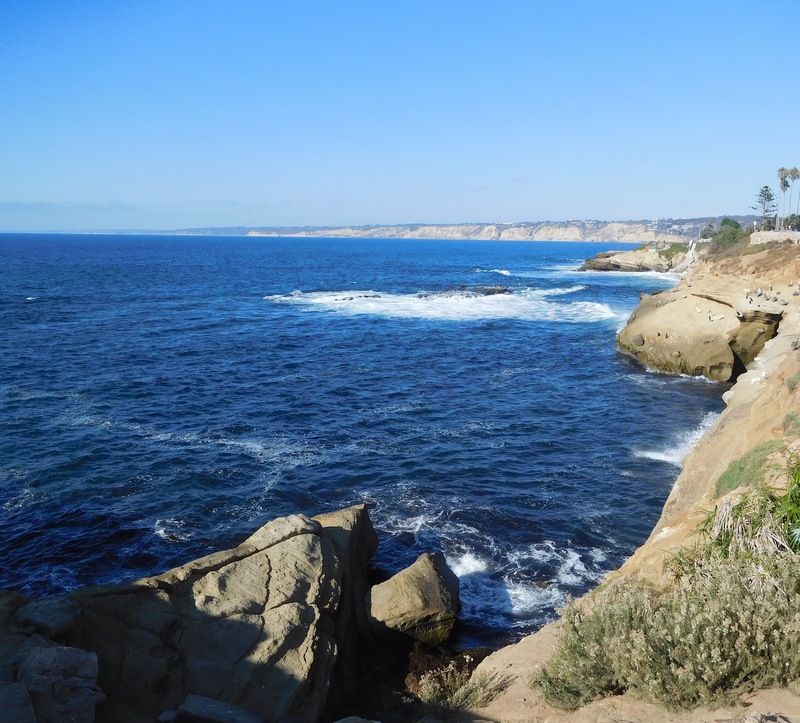 What a perfect time to visit San Diego’s favorite “village,” La Jolla. Vacationing in my hometown was very appealing. I jumped at the chance to stay at the Pantai Inn. It has earned a prestigious #1 ranking for La Jolla hotels at TripAdvisor. 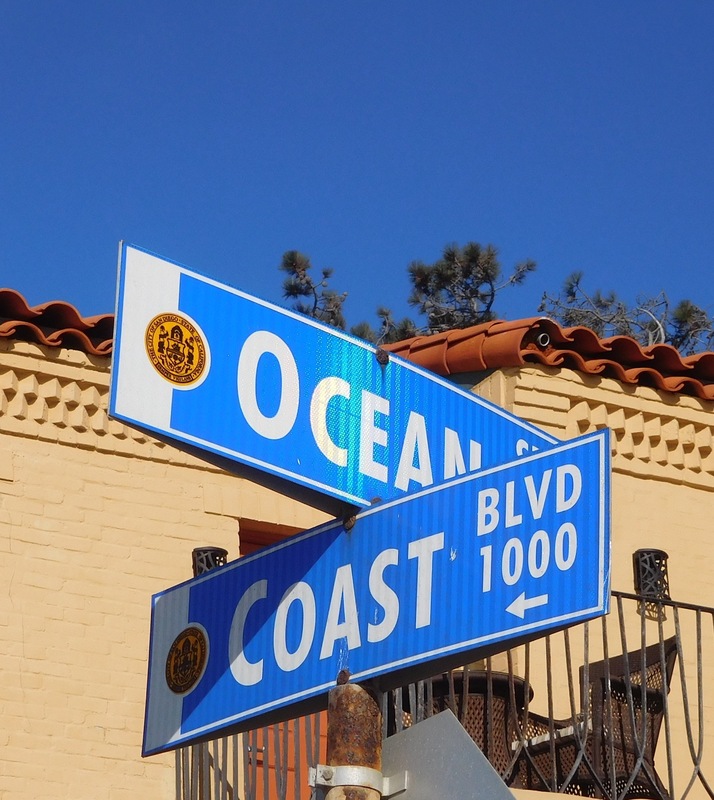 Perched fittingly on the corner of Coast and Ocean Streets, this small gem sits amid beautifully landscaped gardens and patios, overlooking the Pacific. The Pantai Inn pays homage to Balinese art with its furnishings and design. 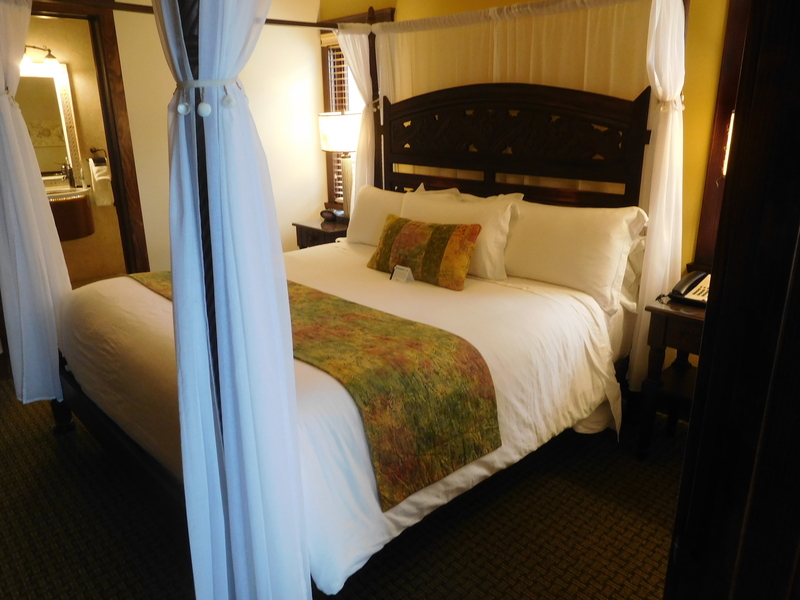 Included in the rate is free parking, complimentary buffet breakfast, and high-speed Internet. Coffee, tea, bottled water, plus freshly baked cookies are available throughout the day. Turndown service includes chocolates at night. It’s easy to understand how the Pantai Inn received such high rankings with its little touches and attention to detail. Stroll north from the Pantai Inn along the bluff to The Cove, then double back to the Children’s Pool. Both areas have been populated by seals and sea lions, which have become a bitter issue with residents, business owners, and environmentalists. Wander through the shops and art galleries on Prospect and Girard. Grab your swim gear and drive to the Shores Beach. Go at low tide and take a long walk north past Scripps Pier to Black’s Beach (bathing suit optional). Stop first at the Birch Aquarium now celebrating its 25th anniversary. 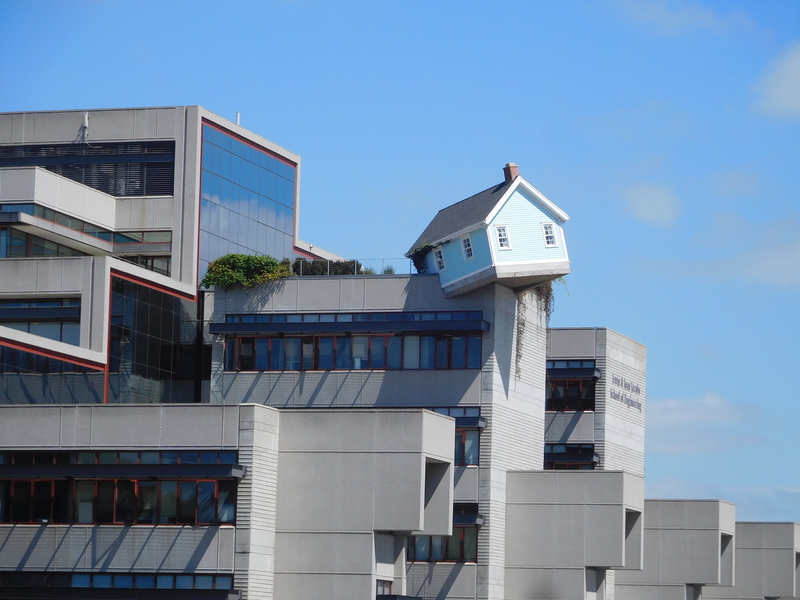 It’s part of the internationally famous Scripps Institution of Oceanography. 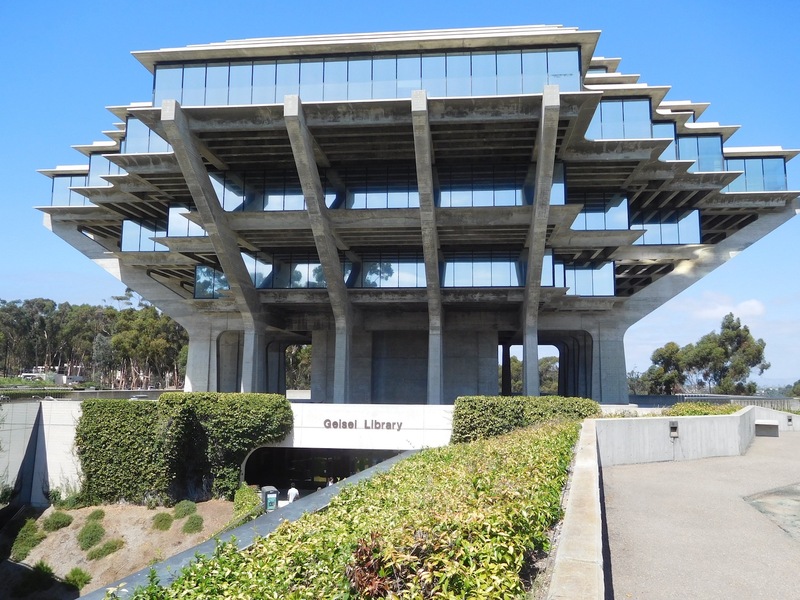 On campus, don’t miss the Geisel Library (thanks, Dr. Seuss) and the outdoor Stuart Collection, especially Sun God, The Wind Garden and Fallen Star (below). The Theater District features the Mandell Weiss Center for Performing Arts and the historic La Jolla Playhouse. The latter was founded in 1947 by Hollywood stars Gregory Peck, Dorothy McGuire, and Mel Ferrer. Over the years, it has won 35 Tony Awards for productions that have moved from there to Broadway. Take a hike through Torrey Pines State Natural Reserve (only one of 14 California State Parks so designated). Six trails loop through the park and there are free public guided tours on weekends and holidays at 10 AM and 2 PM. Golfers, take note: the world-famous Torrey Pines golf course is open to the public. Duke’s is a short walk from the Pantai Inn. It’s named in honor of Duke Kahanamoku, Olympic swimming and water polo medalist, the father of modern surfing, and a royal Hawaiian family member. This casual oceanfront restaurant serves contemporary twists on traditional island favorites. We arrived in time for “Pau Hana” (Happy Hour). Request a table upstairs on the terrace. When we couldn’t decide between a couple of wines, the server brought out tasters (no charge); classy touch. We opted to split the crab cake appetizer. 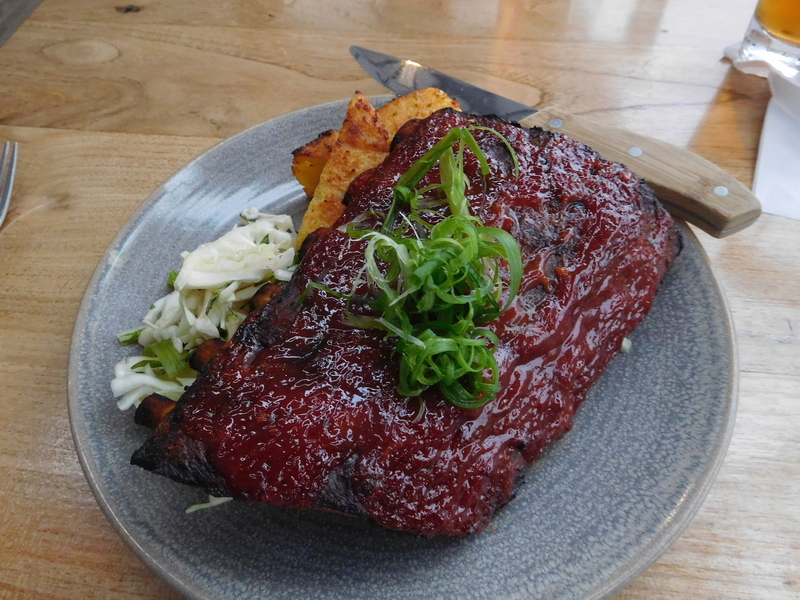 Our two entrees were the Hawaiian style baby back ribs, served with amazing grilled cornbread, and a perfectly prepared Kaffir crusted ahi steak. The decadent Hula Pie ended the dining experience in time for a sunset stroll back to the Pantai Inn. Cusp Dining & Drinks is where fresh coastal cuisine rules. The menu features locally sourced, seasonal ingredients. At happy hour, along with discounted drinks and “bites,” champagne starts at $4 per glass and the price goes up $1 on the hour ($5 at 5 PM, etc.). Chef Ingrid Funes, from El Salvador, not only oversees the kitchen, she is the pastry chef. While enjoying unique cocktails, we split a rock shrimp, chorizo, and Manchego cheese flatbread. Our dinner choices were lamb loin with roasted beets and carrots and the uniquely prepared seafood special of the day. Dessert was a decadent chocolate crunch bar. A Cusp bonus is the dramatic 11th. floor ocean view. 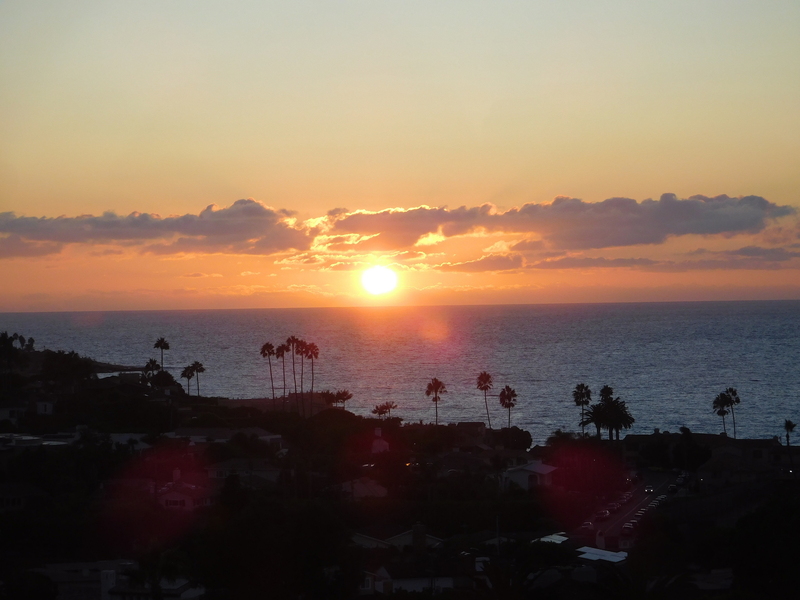 Look for the elusive “green flash,” an optical phenomenon that sometimes occurs as the sun sets. 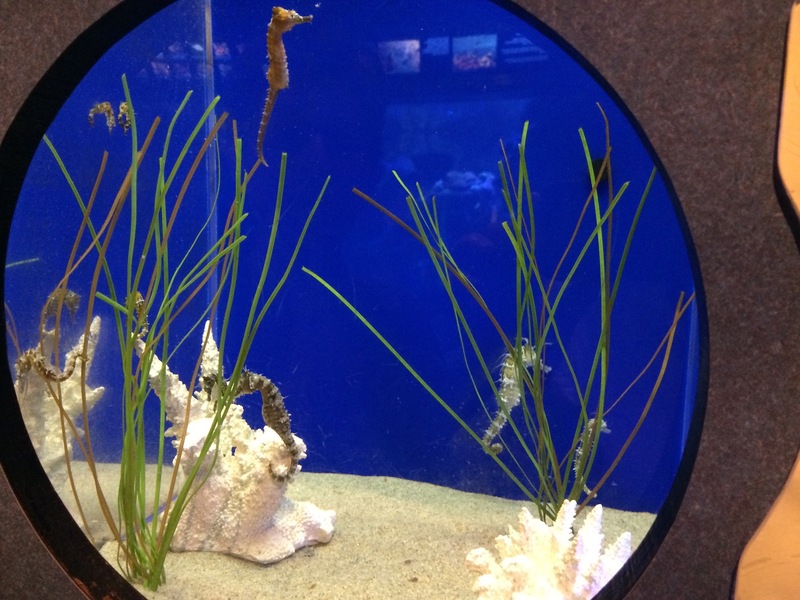 Birch Aquarium – There’s free parking and lots of kids’ activities. For schedules, etc., go to www.aquarium.ucsd.edu. Stuart Collection – Find background and an art location map by logging on to stuartcollection.ucsd.edu. 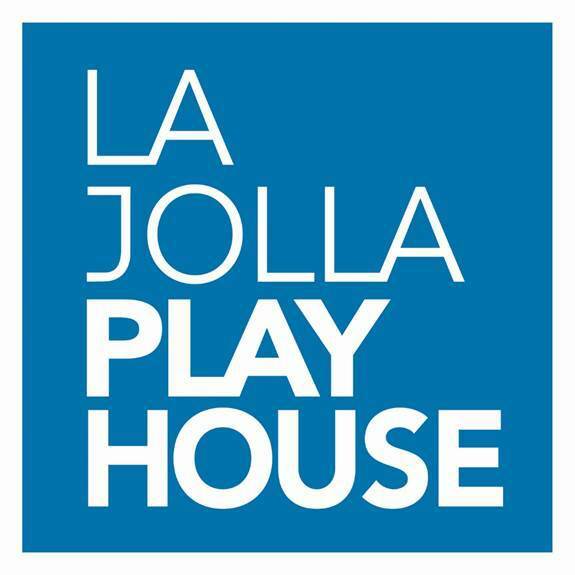 LJ Playhouse – Information for the schedule, to purchase tickets, directions, and parking can be found at www.LaJollaPlayhouse.org. Torrey Pines State National Reserve – Discover hiking and walking options at www.TorreyPines.org. Duke’s – Their menu can be found at www.DukesLaJolla.com. Eight Duke’s Restaurants can be found in Hawaii and three on the mainland: La Jolla, Malibu, and Huntington Beach. Cusp Dining & Drinks – It’s located atop the Hotel La Jolla, Curio Collection by Hilton. There is complimentary valet parking and a $30 price fix menu on Thursday nights. Check it out at www.CuspRestaurant.com. 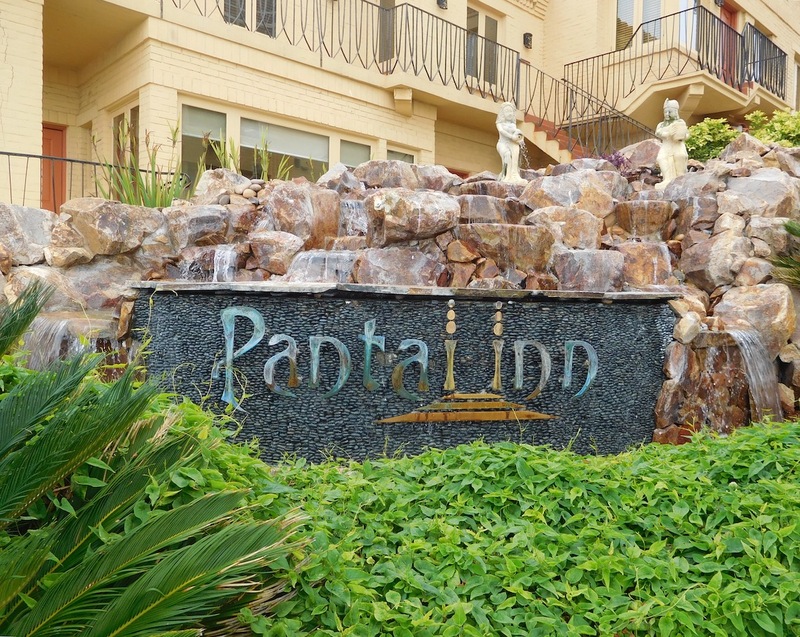 Pantai Inn – More about this special place can be found at www.PantaiInn.com or call 858-224-7600 for reservations. Thanks to the various hosts and websites for information, photos, etc. This entry was posted in Around Town - San Diego, California and tagged california, lajolla, Pantai Inn, SanDiego. Bookmark the permalink.